Pretty much everyone knows someone who is vegan. And pretty much everyone also knows someone who eats gluten-free. So there’s a pretty darn good chance that one of those someones will be at the next barbecue or potluck you head to. That’s why I love potluck recipes that are perfectly irresistible and crowd-pleasing on their own, but also happen to be vegan and gluten-free. The meat-eaters and gluten-lovers will be happy, the vegans and dairy-avoiders and the GFers will be happy, the world will be happy! Okay, if only it were really that easy … but every little bit helps, right? 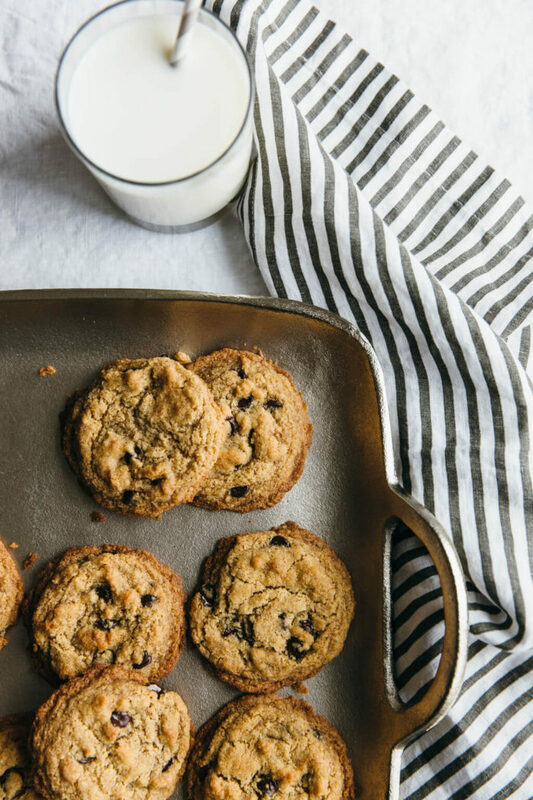 Today, I thought I’d share some of my favorite recipes that fit into this sort of “diet-neutral” category, along with a few blogger friend faves too. Lots of gluten-free and vegan potluck recipes that just about everyone can – and will want to – eat. 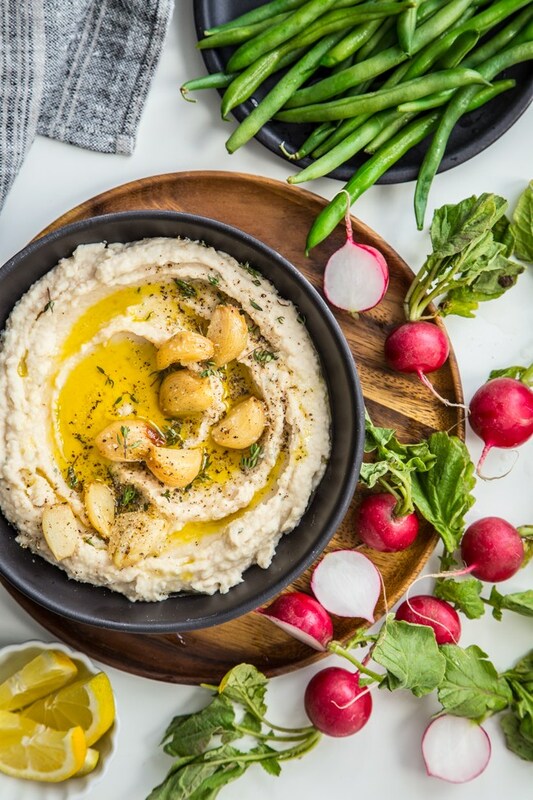 Roasted Garlic Herb White Bean Dip | We all know hummus is a great diet-neutral option for mixed-diet gatherings, but it’s also kind of … dare I say overdone? I love this alternative from Hello Glow, with roasted garlic, herbs, and white beans all whirred together into whipped-up deliciousness. 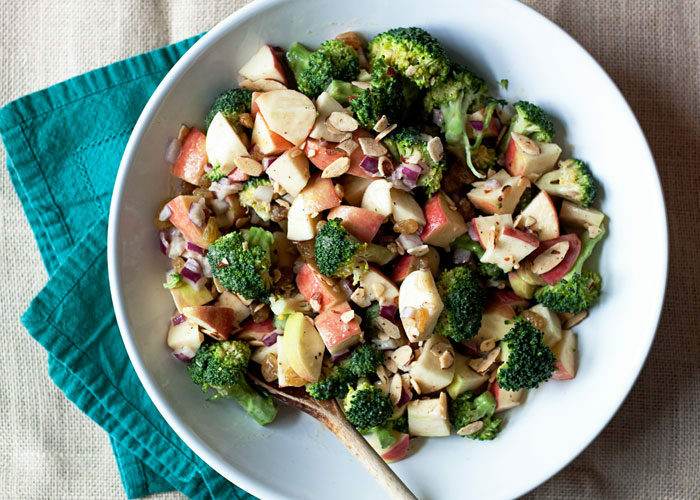 Broccoli Apple Salad with Lemon-Tahini Dressing | A mayo-free version of this popular salad works perfectly for vegans and mayo-averse alike. I love how the sweet crunch of apple adds a bit of levity to this savory salad. 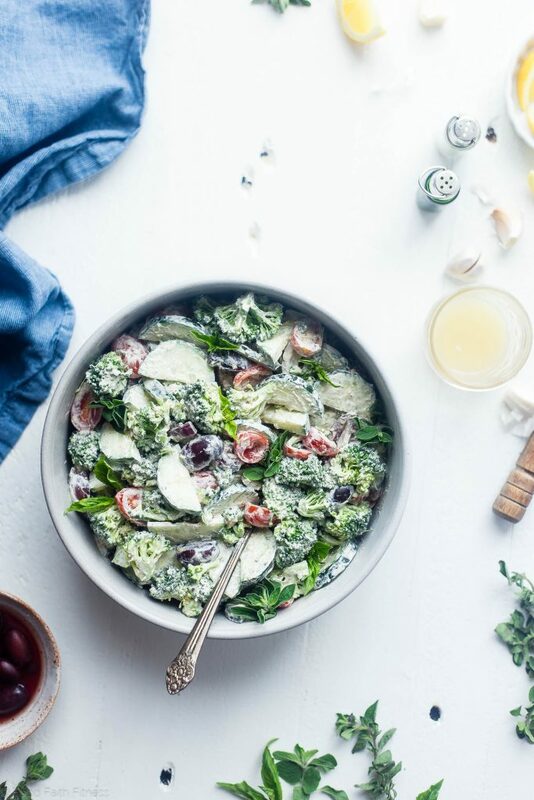 Greek Healthy Broccoli Salad | Another twist on broccoli salad, this creamy vegan/GF version from Food Faith Fitness is brimming with Greek flavors. 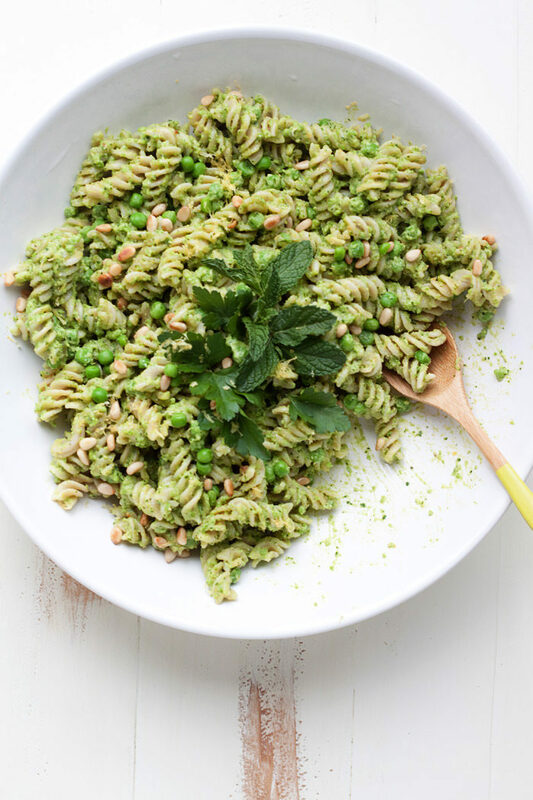 Pea Pesto Pasta Salad | This one travels particularly well, is ridiculously tasty, and can easily be made gluten-free by using brown rice rotini. Delicious either way! 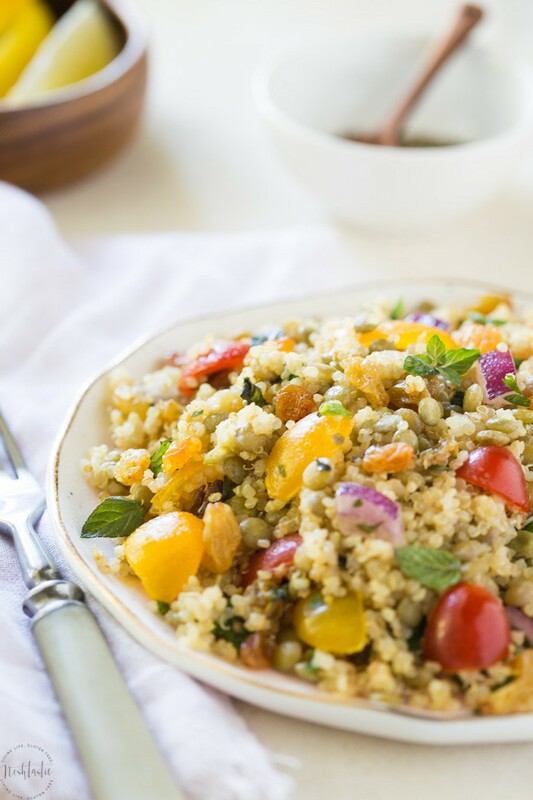 Lentil Quinoa Salad with Golden Raisins & Lemon Dressing | Hearty lentils plus quinoa in a lemony dressing? I’m in. 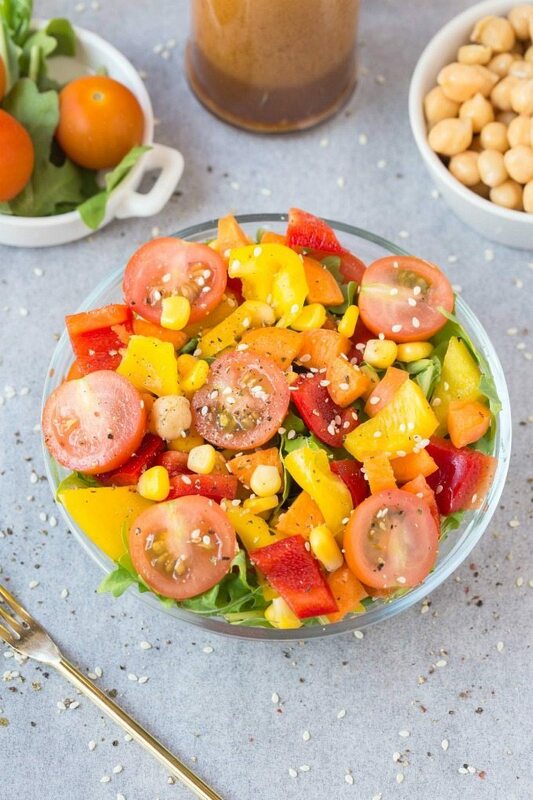 Love this quinoa salad recipe from Noshtastic. 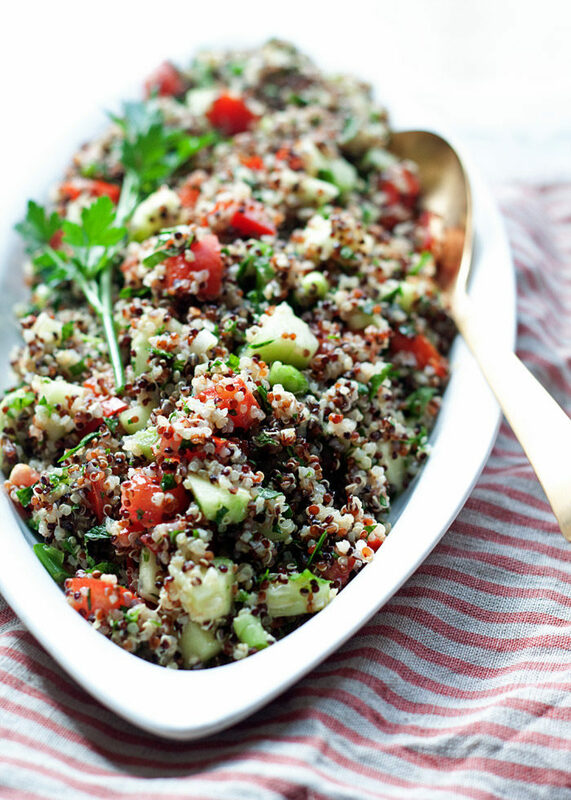 Quinoa Tabbouleh | I’m a pretty big fan of quinoa salads for potlucks. 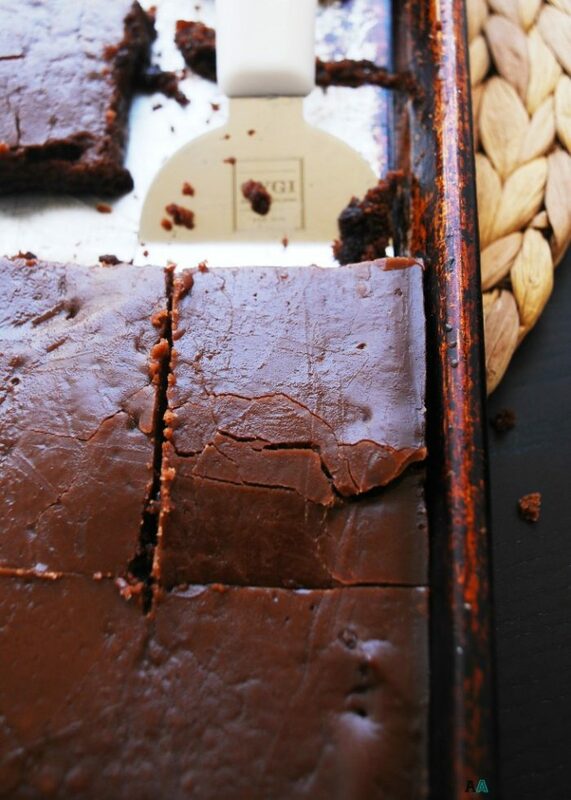 They keep super well – in fact, they often taste much better after they’ve sat for a bit. This spin on traditional tabbouleh swaps quinoa in for the bulgur – and it’s delicious this way. 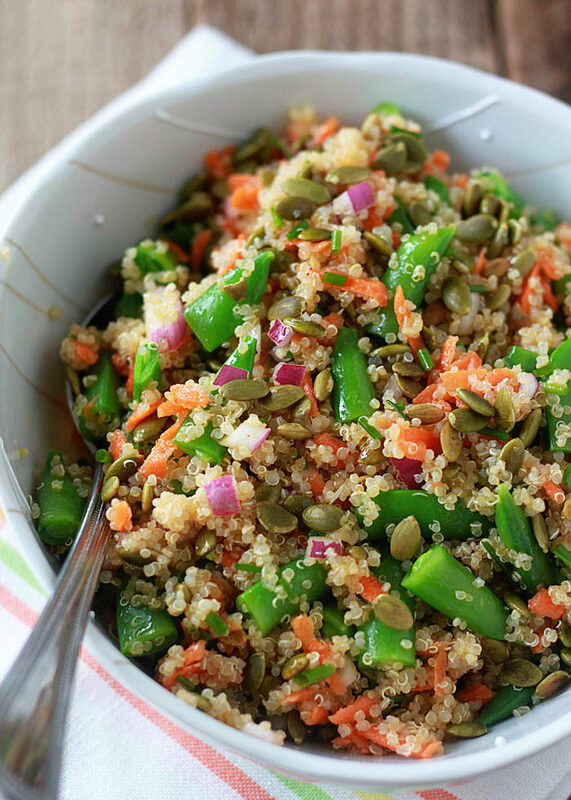 Quinoa Confetti Salad | Okay, okay, last quinoa salad. But seriously – this one’s fresh, tasty, and truly potluck-perfect. 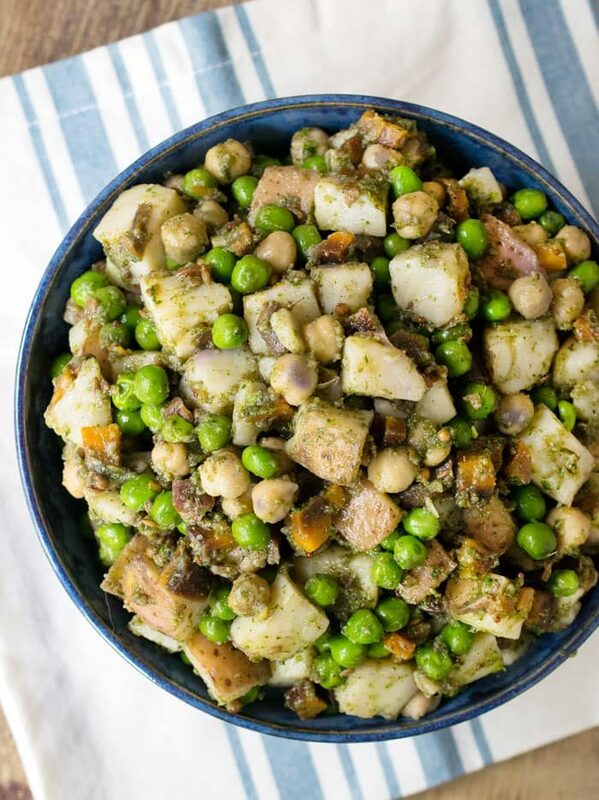 Instant Pot Indian Potato Salad | If potato salad doesn’t say “summer potluck” I don’t know what does! This version from Healthy Slow Cooking offers Indian flavors and an easy pressure cooker preparation. 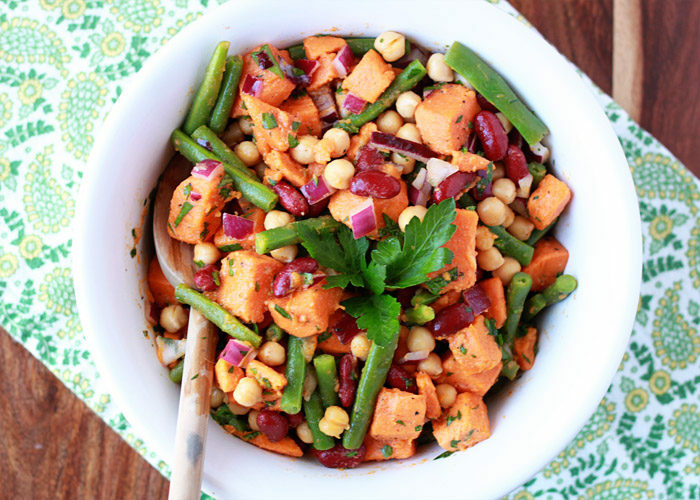 Three Bean Sweet Potato Salad | Another far-from-traditional potato salad, this one marries three bean salad with sweet potatoes for a make-ahead recipe that’ll be welcome at any picnic. 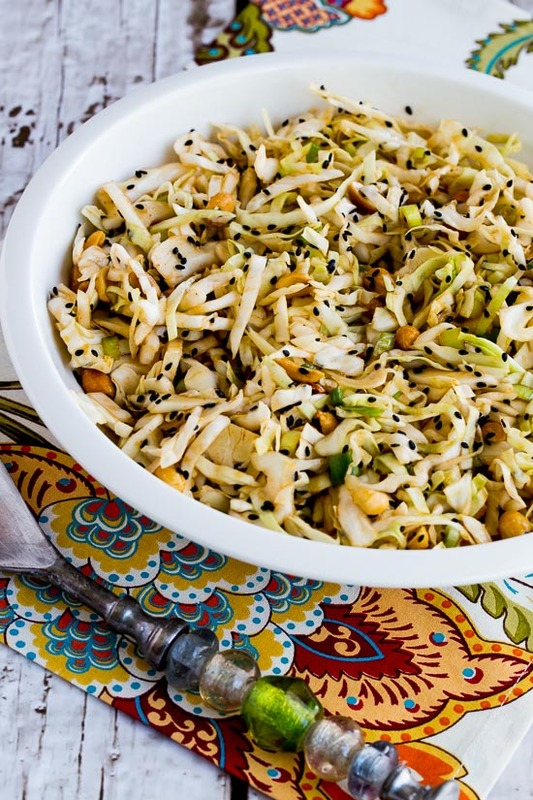 Asian Cabbage Salad with Sriracha and Sesame | Peanuts and sesame seeds lend crunch to this refreshing cabbage salad from Kalyn’s Kitchen. 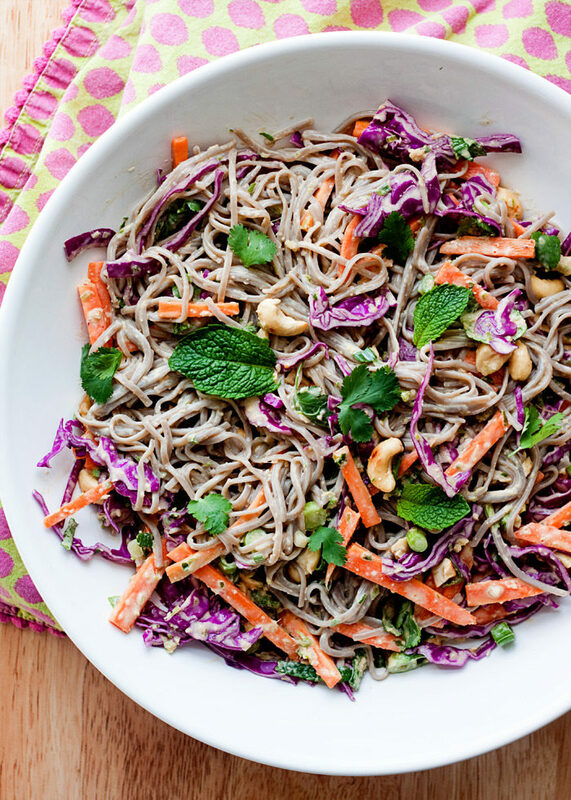 Sesame Crunch Salad | Those colors! This light salad from The Big Man’s World boasts a rich almond butter dressing. Just add chickpeas for more heft. 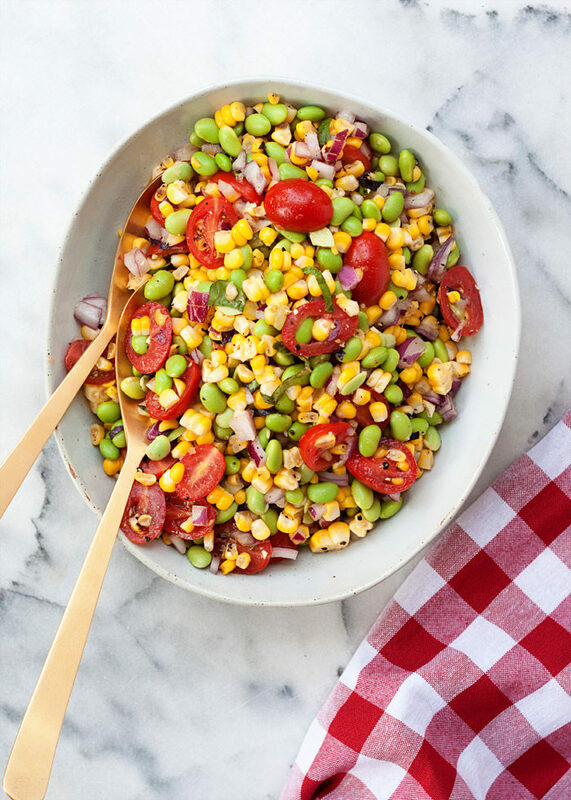 Summer Corn & Edamame Succotash Salad – A summery side that will go beautifully with just about anything (but also holds up pretty well on its own). 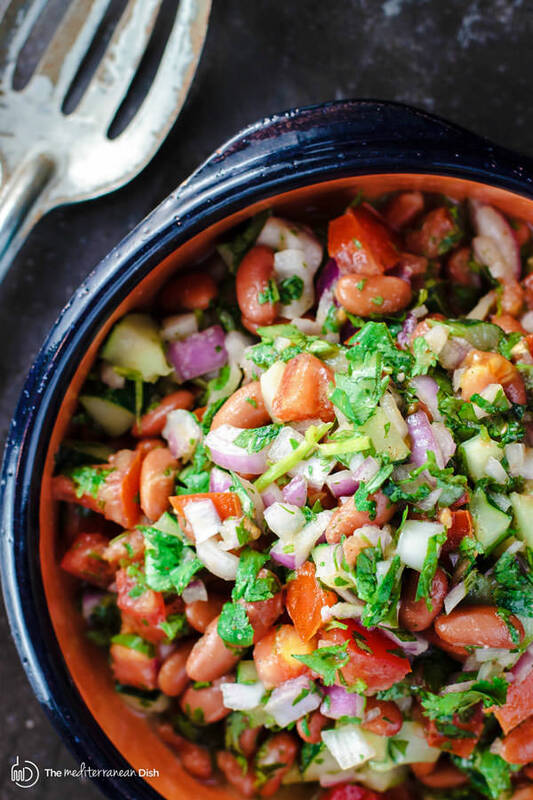 Kidney Bean Salad with Cilantro & Dijon Vinaigrette | I can see vegans and GF diners swatting carnivorous mitts away from this mouthwatering recipe from The Mediterranean Dish. 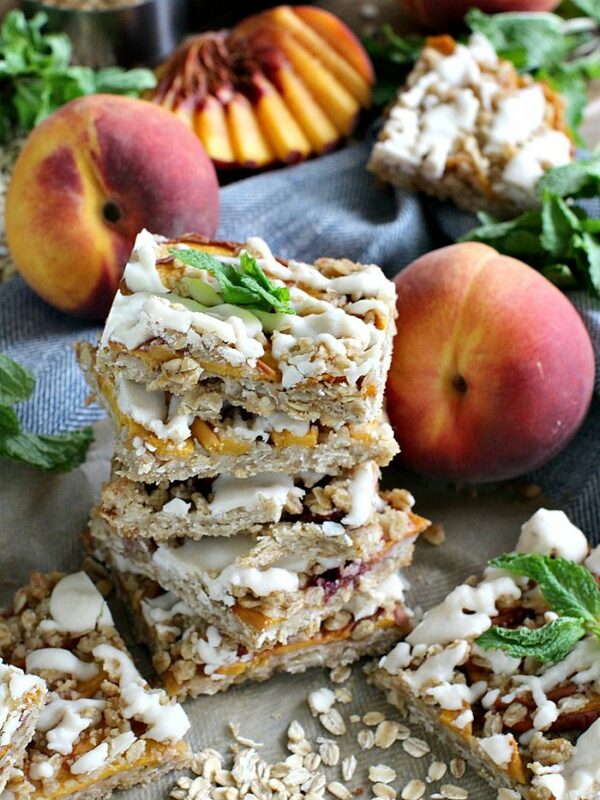 Gluten-Free Vegan Peach Cobbler Bars | If you really want to impress the crowd, bring a tray of these summer-fresh cobbler bars from Peas & Peonies. That coconut butter drizzle? Yesss. 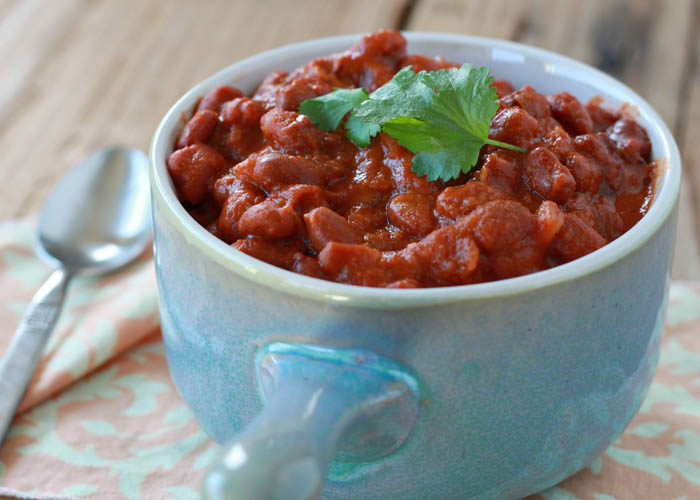 Do you have a favorite gluten-free and vegan potluck recipe? Share a link in the comments below! You are making me all in love with all of these recipes. I am not sure whether I will be able to make of all these and will do the same justice as you have done with these ingredients and I will try to make few of them. And would share once I do.